Open these pages and listen in on the twenty-first century: beheadings on the internet and sleeper cells in Jersey, old girlfriends with their Facebook posts of triumph, forced plane change in Atlanta, no matter the place you imagined you wanted to go. “Pine trees shivering//like addicts on the mountain.” So how to explain the rush of joy and consolation these brilliant, savvy poems afford? To be sure, sheer mindfulness – and there’s mindfulness in abundance here – is a comfort in an age of oblivion and denial. 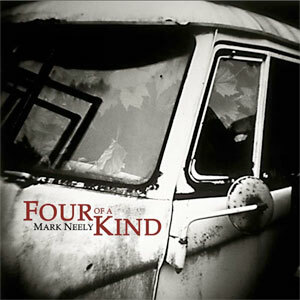 And the music is terrific: Mark Neely has a very fine ear. But something larger is at stake as well, something about the noticing that makes it matter: I can find no better name for it than heart. Open these pages. Take heart. These poems move along a semi-fragmentary path from the present state of national affairs to the near past—let’s call it the last days of the Reagan Era. What has happened to American culture in those 30 gilded years? What has happened to the human soul? As Dante proved, sometimes a poet needs to wander the provinces of Hell to find the truth. Mark Neely has done some powerful wandering. This is a searing and necessary book of poetry. If James Wright had grown up listening to R.E.M. 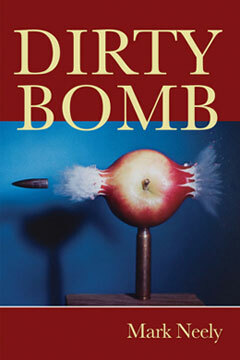 and watching Twin Peaks, he might have written the gorgeously disappointed and disturbingly glorious poems in Mark Neely’s Dirty Bomb. Neely renders contemporary America from the inside out. And while this rendering begins in collective nightmare, there’s redemption enough in Neely’s humor, his sheer inventiveness, and the deep sympathy with which he treats his subjects. Poems such as “A woman in Dior,” “I step away from the oil fires” and “Tonight I am kicking down the doors” are built to last, and they will. 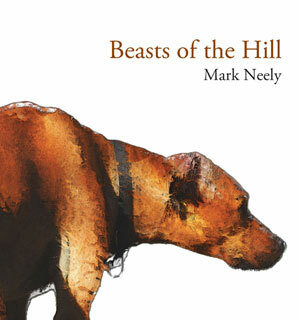 In Beasts of the Hill, Mark Neely works in small spaces where the slightest moves have seismic consequences. The acoustics are sensational, and the modest and laconic gestures of the poems…are also vehicles for the flights and fugues of a “glorious attack.” Neely’s lines can be fundamental or extravagant, sober or infused with metaphysical light. Wonder and “furious desire” are the engines that drive these poems, which shatter distance, space, and time into manifold presences both intimate and strange. Neely has the chops and the voice to sing the blues. Mark Neely’s insistent, persistent meditations—multiple takes on everything from flights to fences, dirt to dreams, wheels to woods, fields to falls, threads to the dead—add up to nothing less than a mandala of the human spirit. Here is a companion to take you on a walk, “shoulder over foot, shoulder over foot,” into the prairie, into the unconscious, into the abyss, one staggeringly powerful image at a time. I need this book. This is a work of fiction. 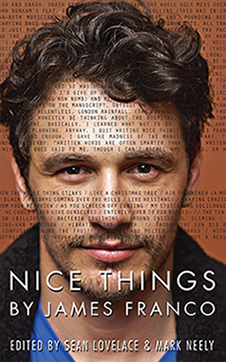 Names, characters, businesses, places, events, and incidents have been fed through the elaborate machine of James Franco's imagination. Though passages relating to health, fitness, and creative writing do draw on the author's extensive education, they should not be substituted for the medical advice of physicians. This book taps into the character of James Franco by embracing both sides of the real person: the one who gets too many degrees and directs bad adaptations of famous books, and the one who satirizes himself in movies like This Is the End. In other words, the authors picked the perfect person, and cooked him to the perfect temperature. The result is delicious. There is no doubt about Franco's facility with language, the depth of his contemplation, the breadth of his imagination. That he is well-read, curious, original, intelligent and creative in the range of material in this small book is clear; his energy and reflectiveness and restlessness contribute to an experience that his full of history, pop culture, pop tarts, and the serious contemplation of what it's like to balance teaching and writing, to be an actor, a traveler, a reader and a person/ character...trying to find himself. Or his selves. The world viewed through Mark Neely’s window-pane form is bleak and fallen, driven by a distinctly American strain of banality. Yet, the very elegance and order of thought in these poems offers a subtle gesture of resistance. Such resistance is further indicated by the poet’s wry use of old-fashioned craft—bull’s-eye imagery and poised similes flutter quietly through the collection. Neely’s quadruple vision surely clarifies our chintzy modern desperation, but that same vision also isolates a moment or two when our world is still defiantly charged with its old wonder and beauty. Four of a Kind is a book of marvelous precision and mysterious distortion; reading it is sometimes like looking through squeaky-clean plate glass, sometimes through the wavy glass of old farmhouse windows. 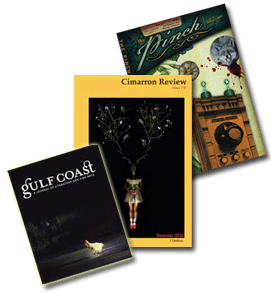 Click here for a list work in magazines including links to online publications..
Home | About | Writing | News | Links . . . . . . . . . . . . . . . . . . . . . . . . . . . . . . . . . . . . . . . . . . . . . . . . . . . . . . . . . . . . . . . . . . . . . . . . . . . . . . . . . . . . . . . . . . . . . . . . . . . . . . . . . . . . . . . . . . . . .